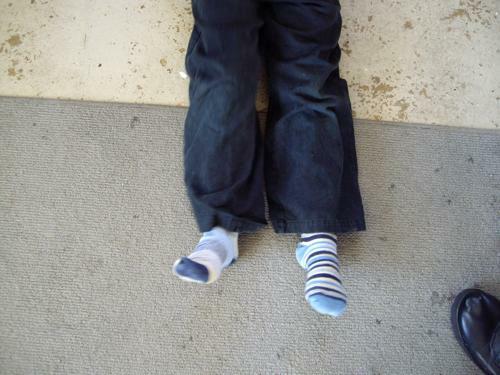 You might wonder why there’s a picture of my son’s feet with odd socks on. Whenever I buy socks for the kids, I tend to get those packs with three pairs in, hoping that they will at least last for a few months. It would be more sensible to get three identical pairs, because several inevitably get spirited away by the sock monster, but this set of three similar, toning, pairs looked so smart that I bought them. “It doesn’t matter what they look like Mum, they feel right”, he said. I started thinking about this. Maybe what things look like is not as important as how they feel. This is a good description for my journey this year into the Diaconate. This diocese has had very little awareness of what the Diaconate is, and the usual journey towards ordination has taken people into the priesthood. That’s what has been expected, that’s what ‘looks right’. That’s what people in the congregation expected. But my journey has taken a different path, one that takes a bit of explaining to people. it doesn’t look the same as that of other clergy. It seems an odd match to what I originally saw as God’s calling for me. But the Diaconate feels right! I am doing things that I love, I have a wider area of work and influence than if I were a priest, and fewer responsibilities, which fits with my family. 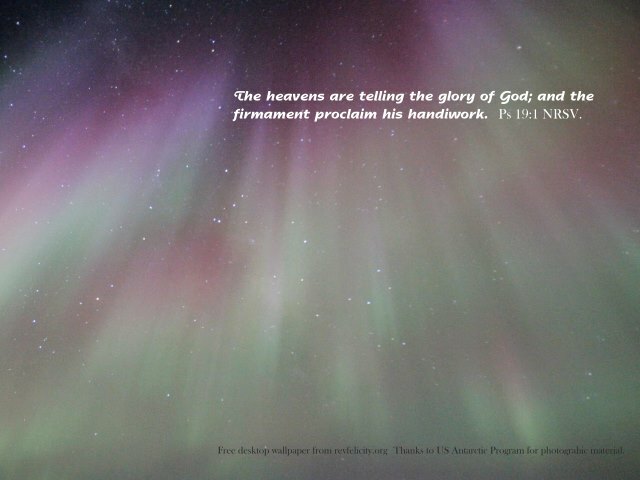 We’ve been reading Job in church recently, and Kevin and I have been making wallpapers with lines from the last part, which speak of the majesty of God. It’s been good to reflect on Job and his trials, because our little boy has a problem with his legs.It started off a few months ago with a tic in his left leg, so he couldn’t put it down. Tests are ongoing, meanwhile he was getting along really well on crutches, and I was hoping he wold be able to walk again soon. Just this week however, something weird has gone wrong with the other leg, and he can’t take his weight on that one either! Crutches are useless now. I wish we could go back to how it was, but now he has a wheelchair, or he crawls on one knee and two hands. Thinking about Job helps put my boy’s problems in perspective – “Where were you when I laid the foundation of the earth?” God thunders to Job, from the whirlwind. Maybe God is telling our family that we need to trust more, leave God to be God, and be thankful that our boy is healthy, even if rather unconventional in his locomotion! -Keep an eye out for the new wallpaper with God speaking to Job – “Where were you… There’s a wonderful picture of lava from a Hawaiian volcano hissing into the sea! Our kinds recently took part in the holiday programme the church was running, and they had one of those realllly catchy songs,every day. You know the sort, with a simple tune, repetitive word, and easy actions, that even my son on crutches could take part in. This silly song has been going around and around in my head – I may have to resort to some Wagner to wipe it out! The main line in the chorus is “Do the Happy Dance”, because God loves us with a great love. The theology is fine, the idea is fine, but I keep wondering, what about those times when we can’t ‘do the happy dance’? What about when everything is falling around our ears, and it’s hard to find God anywhere in it. I’ve been looking at the book of Job, as I’m preparing a sermon on Job for Sunday. I got to thinking – how is it that Job can keep his faith in God strong, even when he has lost all his stuff, all his children, and his health. Maybe he had been trained from childhood to trust God’s great love, just as the song at the holiday programme is doing for our kids. Maybe practising ‘doing the happy dance’ instills in the kids, and their parents, a bedrock that they can rely on, a knowledge that is stronger than facts, that whatever happens, God loves them. That’s what kept Job going, and that will keep you going too. New feature – free Christian wallpaper! You may have noticed a new button on the top of the site – wallpaper. These are images you can download free to use as wallpaper for your computer screen. We have used beautiful photos of various places, made them suitable colours for seeing your icons on, and added scriptures from Psalms, Job and other inspirational verses. Why? Because there are times when a single line of God’s word is all you need to inspire and encourage you – faith doesn’t have to be complicated! Just having a gentle reminder that God made it all, and that he loves us so much that he put us in this wonderful place, can set your day right.